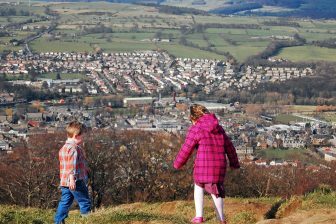 Although city children want more contact with nature, they do not always feel they have enough access to – or freedom within – the natural spaces that are already there. In a recent analysis of its work over these seven years, easily accessible, plentiful, and varied nature within the city is children’s top request (inclusive cities and independent mobility are 2nd and 3rd on the list). 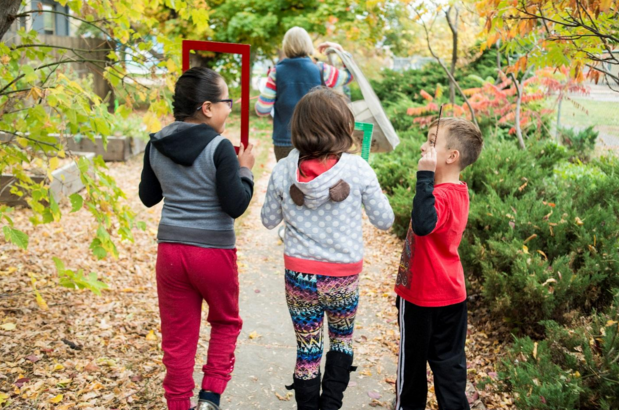 Over the past seven years of participatory planning with children, ages 3 to 16, Growing Up Boulder has consistently found that children want nature in their cities. 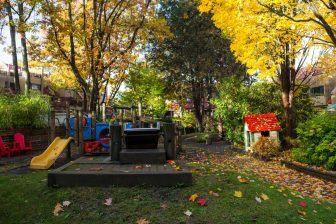 Children’s desire for nature might not be surprising for planning projects that involve open space, parks, or neighbourhood plans (e.g., City of Boulder 2015, Derr and Kovács 2015), but children have also consistently requested increased access to and diversity of nature in transportation planning projects, resilience planning, and comprehensive planning of the whole city. Children want access to natural areas for their own play and also for wild and domesticated animals: children consistently express interest in improving habitats for wildlife in urban spaces. This result emerges across demographics within Boulder, including ethnicity, family income and age. For example, in a recent project by Boulder’s youngest participants in open space planning, children aged 4-5 became interested in insects and began preparations for a field trip. Boulder Journey School children researched insect anatomy and decided to design costumes so that they wouldn’t frighten the insects. The young children also thought about the potential of recreation users to harm insect habitats and expressed a strong desire to enhance and protect insect habitats along trails. On a field trip to open space land, they also said they would like more opportunities to directly interact with nature. While nature was around them, they did not feel free to interact with it and play. On a nature field trip in Boulder, USA, children said they would like more nature in the city, and more opportunities to engage with the nature that is present. Although Boulder has much nature in its open space land, children do not always have access to it, nor do they feel free to interact with it in a playful way. Illustrating this sentiment, one nine-year-old at the project’s family workshop stated, “People are always telling us to get out and enjoy nature, but then we can’t do anything [in it] but walk” (Growing Up Boulder 2015). While these findings might not be surprising from children in the City of Boulder, Colorado, which is known for its natural amenities, including the largest amount of open space and mountain parks in the U.S.A., these same desires also emerge from other places. For example, in a recent study with children in Mexico City, when researchers asked children to describe their ideal city, they described places full of nature – from trees to wild animals to water fountains with fish and ducks (Gülgönen and Corona 2015). Children in all kinds of living conditions in many cities worldwide similarly want access to nature and to care for other living things (Chawla 2002, Malone 2001), from insects and bears in Boulder to dogs in the slums of Bolivia (Malone 2015). A growing body of literature shows us that access to nature matters for children’s health and well-being (Chawla 2015). 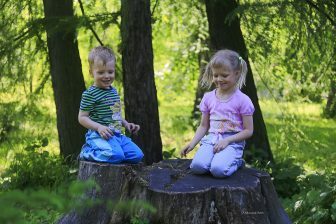 A recent study also found that children who had greater knowledge of nature in their neighbourhood had a stronger sense of place and a greater sense of neighbourhood cohesion than those without such access (Kroencke et al. 2015). 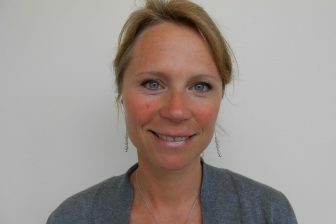 Yet children in particular may have trouble accessing natural spaces. A recent article about 15-minute neighbourhoods in Boulder highlighted children’s inability to access parks even when they are located relatively close to home. Coupled with lack of access is the recent finding that urban parks and gardens may be insufficient in meeting people’s nature needs (Rupprecht et al. 2015). In a recent conversation with 8-9 year olds about their concerns for the city, taking care of those less fortunate, whether homeless people, stray dogs, or roaming bears, emerged as a critical vulnerability. When probed as to why this was important, children said because when others are not cared for, it makes them feel like they might not be cared for either. Feeling safe – a core tenant of child friendly cities – thus needs to extend to others, whether they be people or animals, within a city. Fortunately, “re-wilding” cities is becoming an important concept in urban settings. The WILD Cities Project is one group working to advocate such re-wildings worldwide. WILD Cities is a “collaborative campaign to regenerate wild nature in urban areas to improve quality of life for all” (Wild Foundation 2015). If we listened to children, and took their ideas seriously, what we might see – in addition to green roofs, butterfly houses, and safe places to play – would be children amid the bright diversity of nature who feel free to play, because they know that others are also being cared for. Chawla, Louise. 2015 “Benefits of Nature Contact for Children.” Journal of Planning Literature: 0885412215595441. Chawla, Louise and UNESCO. 2002. Growing up in an urbanising world. London: Earthscan. Derr, Victoria, and Ildikó G. Kovács. 2015. “How participatory processes impact children and contribute to planning: a case study of neighborhood design from Boulder, Colorado, USA.” Journal of Urbanism: International Research on Placemaking and Urban Sustainability: 1-20. Gülgönen, Tuline, and Yolanda Corona. 2015. “Children’s Perspectives on Their Urban Environment and Their Appropriation of Public Spaces in Mexico City.” Children, Youth and Environments 25(2): 208-228. Kroencke, R. D., K. A. Hoormann, E. F. Heller, J. M. Bizub, C. J. Zetts, K. M. M. Beyer. 2015. Knowledge of Neighborhood Nature is Associated with Strong Sense of Place among Milwaukee Youth. Children, Youth and Environments 25(3): 129-144. Malone, Karen. 2015. “Theorizing a child–dog encounter in the slums of La Paz using post-humanistic approaches in order to disrupt universalisms in current ‘child in nature’ debates.” Children’s Geographies: 1-18. Malone, Karen. 2001. “Children, youth and sustainable cities.” Local Environment 6(1): 5-12. Rupprecht, Christoph D. D., J.A. Byrne, H. Ueda, and A. Y. Lo. 2015. “‘It’s real, not fake like a park’: Residents’ perception and use of informal urban green-space in Brisbane, Australia and Sapporo, Japan.” Landscape and Urban Planning 143: 205-218.